Back in 1975, Weird Heroes was “an exciting new concept in science fiction and adventure!” (It’s true because it says so on the book’s cover.) It also promised to deliver “five of the most incredible new heroes in the universe!” All in all, it was an ambitious attempt to reinvent pulp fiction for a new generation. Among the creators in the first volume were Ron Goulart, Archie Goodwin, Jeff Jones, and Alex Nino. An interesting batch of talent, that’s for sure. There was even a brief interview with Fritz Leiber for added context. It was Philip Jose Farmer and Jim Steranko, however, who helped clarify the book’s mission statement the best. Both men spent their entire careers championing pulp fiction and knew a thing or two about the “weird” heroes that predated modern day superheroes. 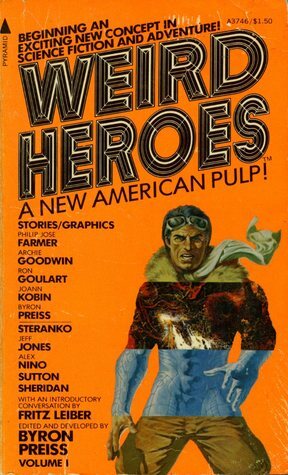 In hindsight, Weird Heroes failed to spark a pulp revival (as Farmer said, “All golden ages end”), but with the editor’s directive and the boundless enthusiasm of his contributors, it gave us another shot of pulp-y excitement and epic adventure. In this way it was unquestionably a success. 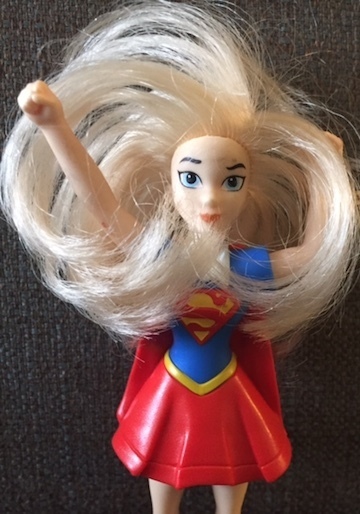 This entry was posted in New/Old Pulp, Short Story Collections and tagged Byron Preiss, Weird Heroes. Bookmark the permalink.